Honor, the affordable yet high-spec smartphone brand, has teased a new phone reveal where the handset expected should come minus a bezel. Sure we’ve had what brands call bezel-free before with the Samsung Galaxy S8 Infinity Display being one of the closest to truly ditching bezels. Even Apple’s latest iPhone X does away with most of its bezel - although there is still that chunk at the top. The new Honor phone looks set to take that bezel-free, all-screen design to the next level. 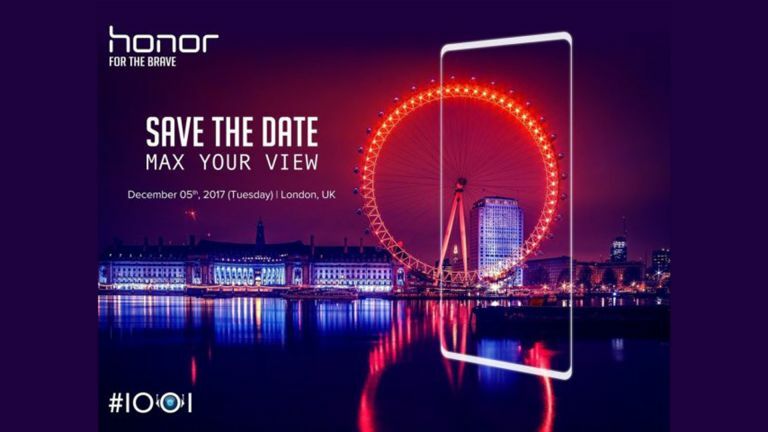 Honor has teased an event on 5 December in London where it will unveil a new smartphone all about the screen. The event invite reads: “Max your view” to clarify that this phone is all about the display. It does look very much like the Samsung Infinity Display marketing materials so we’ll be surprised if it improves much on that. Even if the new Honor smartphone is simply as good as the Infinity Display that’s still impressive and since it’ll likely be a lot more affordable we’re excited. Check back on Tuesday 5 December to find out all there is to know about the new handset. In the meantime check out the current bezel free option in the Samsung Galaxy S8 review.